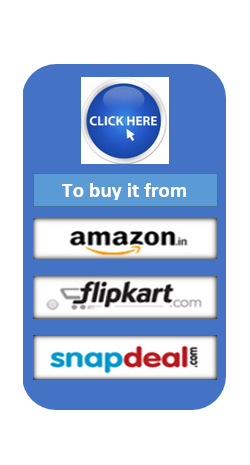 Combi Pack: IIT Foundation And Olympiad Explorer For Class 7 (Set Of 4 Books) is a set of books that helps class 7 students lay a solid foundation for success in the prestigious IIT exam and the science and math olympiads, contests, and talent search exams. 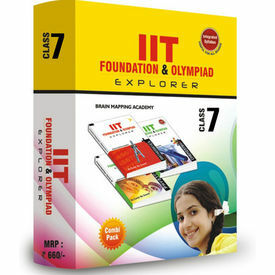 Combi Pack: IIT Foundation And Olympiad Explorer For Class 7 (Set Of 4 Books) is a powerful resource. It helps the students of class 7 build a foundation for the distinguished IIT exam that one is eligible for after class 12 and other science and math olympiads that are regularly held across schools and colleges. The JEE, which is a gateway for admission into the Indian Institute of Technology, is a most sought after exam, as it offers endless opportunities for students who aspire to enter the science and engineering industry or research organizations and the quality of education is top-notch and of the highest caliber. The preparation required for this exam, therefore, is quite intense, and typically takes years of meticulous study. Combi Pack: IIT Foundation And Olympiad Explorer For Class 7 (Set Of 4 Books) is your preparation guide for the exam. The set consists of four titles, namely Maths, Maths Solutions, Science, and Science Solutions. This set of books comes with a number of features. The presentation of the material is systematic, simple, and clear. Every chapter ends with a number of subjective and objective questions, through which students can test their understanding of the concepts they learnt in the chapters. And since this book is also designed for students who are interested in participating in national and international contests, talent search exams, and olympiads, questions that have appeared in previously held contests are also included at the end of each chapter. The relatively important chapters across the four titles contain graded exercises, crossword puzzles, and concept maps. The students will be able to strengthen their muscle in these subjects through paragraph questions, multiple answer questions, and reasoning and assertion questions. And what’s more is that the solution companion books for both the math and science titles are available. Using these companion books, the students will be able to cross-check their solutions and identify their areas of strength, and determine if they’re on the right track when it comes to problem solving. The material presented in Combi Pack: IIT Foundation And Olympiad Explorer For Class 7 (Set Of 4 Books) is well-structured and organized. The class 7 syllabus is integrated into the overarching syllabus that drives the material in these books.